I saw an indie film last week with a friend. She hated the film while I was enchanted. Normally, we agree on films and books and theatre. This week the same friend took me to a screening of a film that I had heard was good. I struggled to stay in my seat I was so bored with it, and was surprised that she found it completely engaging. We talked about our expectations and disappointments and wondered what was going on that we had such diverse reactions. It has often struck me that our expectations play a large roll in how we are affected by books, movies, etc. If we have been given great recommendations by friends, or read rave reviews, then we are set up for wanting too much. Our imaginations are soaring with beautiful images and we can almost feel how it will be to experience the actual thing — the page-turner! the not-to-be-missed mega hit! the once-in-a-lifetime experience! How can we not be disappointed? On the other hand, we also bring to a book or movie our moods of the moment, our bad-hair-day, our boss-yelled-at-us-day, our family/lover/friend- issue-of-the-day-day right into the theatre with us. Curled in a chair with our book, it’s there — a sweater knit of melancholy an d gloom across our shoulders not to be shrugged off by the mere act of reading a book but penetrating our perception of the book, perhaps changing how we feel about it. There is no way for any of us to know for sure if and how we are affected by emotions and how those emotions change how we feel about a piece of entertainment. I do know for certain, however, that when I see a movie more than once I may have an entirely different take on it the second time, or when I re-read books I find that I sometimes have an opposite opinion of it on the second reading. It could be simply that the second reading or viewing takes place a few years later and I have changed my outlook on things in general so I would naturally have an altered feeling about it. Or, perhaps it means that I am bringing moods to the experience and that is what is altered. 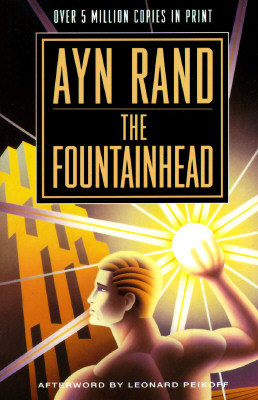 When I read The Fountainhead by Ayn Rand back in the 60’s I was thrilled by the story of the heroic architect willing to destroy his own brilliant building rather than compromise his creative vision. Wow! In my naivete I found this terribly idealistic and appealing. Re-reading the book in the 8 0’s I couldn’t help feeling a sense of unease regarding the author’s pronouncements for the individual above all else. Her disdain for the “masses” or any collective of society is clearly part of her elitist message and not anything that I can, or even want to, sympathize with. 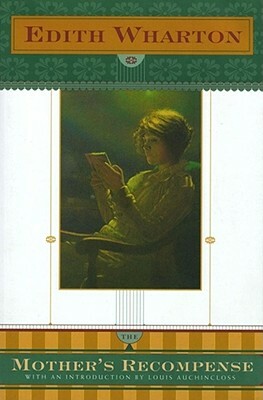 One of my favorite Edith Wharton novels is the little known A Mother’s Recompense. I found it so interesting when I first read it — a mother who walks away from a wealthy husband and her own little daughter only to come back into the daughter’s life when the daughter is engaged to be married. There are twists and turns in their relationship as they try to become reacquainted, complicated by the fact that they are both in love with the same man. When I read it again ten years later I was less interested in the melodrama and far more fascinated by the daughter’s forgiveness of her mother’s abandonment and the mother’s sacrifice for her daughter’s happiness. I don’t know if I brought different emotions to the re-readings or whether I was bringing new perspectives based on more experience in life. It will remain a mystery to me. But I do urge readers to re-visit books after several years and see what has changed. Beside what you find unexplored in the book, you’ll surly find plenty new about yourself. Filed under Bits and Bobs, Excuse me. I have a Question.